Stick people. Suns with sunglasses. Flowers. My artistic skills do not expand much beyond that. I think, because of my inability, I am more impressed and amazed by artists. It truly is inspiring to find someone who can capture a subject in a way that not many can. I was lucky enough to be able to talk with acclaimed wild life artist Joe Hautman. 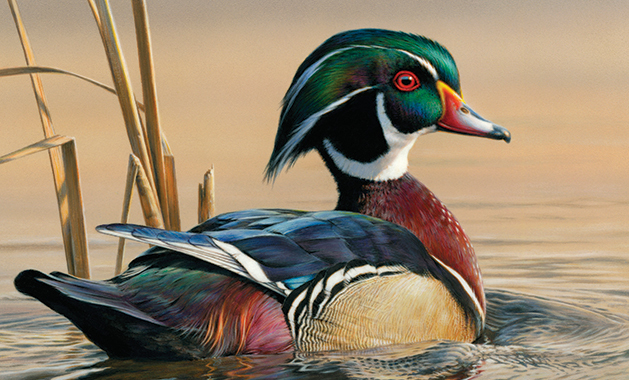 He has captured the honor for the Federal Duck Stamp contest four times and paints North American wildlife in photographic detail. Along with his two younger brothers, he showcased his art at the Minnetonka Center for the Arts in October. Not only is his art remarkable in detail and flourish, but he is supremely humble. To read more of Hautman’s accomplishments and inspiration, pick up the March issue of Plymouth Magazine.